The fourth release from A based Chicago Trio featuring Krzysztof Pabian on double bass, Dan Phillips on guitar and Tim Mulvenna on drums. 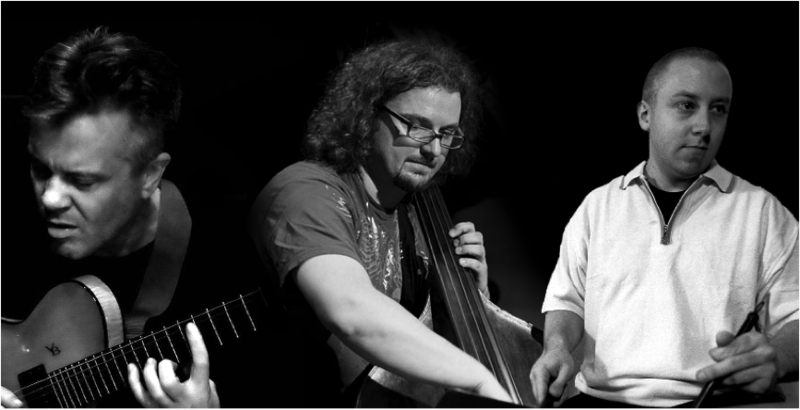 This is the fourth release for this unique trio and the 20 plus year relationship between these outstanding musicians is obviously apparent in the performance. 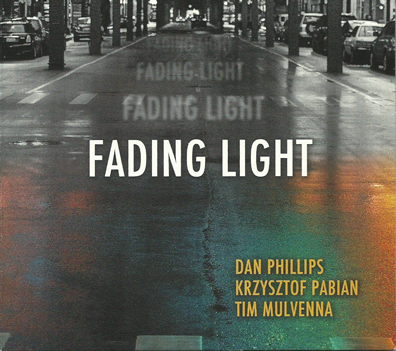 This release also features Dan Phillips’ unique compositional style, but with a slightly more minimalist approach in some instances. This album begins with the title track “Fading Light” which is based on a freely played simple melodic theme that the trio improvises on and reshapes until a climactic contrasting outro. “Schwag” is a also a melodic theme played in unison by bass and guitar in contrasting swing rhythm and then improvised on in broken time. “Unbound” features Phillips’ unique harmonic chordal style melody with an extended guitar solo. “Ominous Thoughts” is a harmonic theme repeated with a beautiful arco bass solo creating the melodic material. “Was Going So Well” shows the trio digging in and swinging an a melodic theme before taking out on a heavy rubato theme. “Icy Fields” is a rubato melodic theme the trio effortlessly improvised on to create the a visual impression of the Midwestern winter scene. “Saga” is a more extended composition as was featured on earlier releases with varying shapes and time signatures. It also features Phillips’ unique guitar harmonic and solo linear work. The Album closes with “Up There” which is as near to a rock/pop theme as it gets with this group. It also features Krzysztofs’s great arco work on double bass.